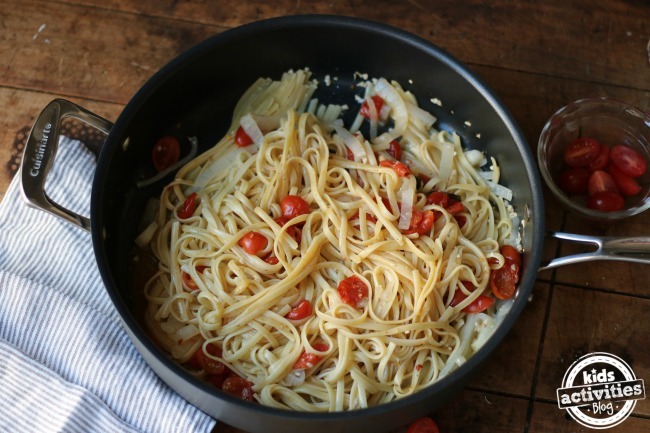 Making dinner just got a lot easier with this One Pan Tomato Basil Pasta dish! 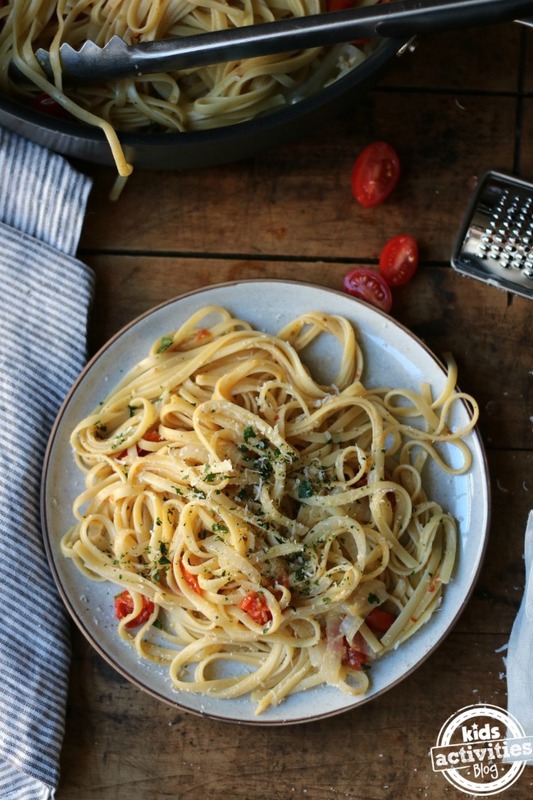 You literally put all of the ingredients, including the uncooked pasta, into the pan and watch the magic happen! This dinner takes less than 15 minutes and is perfect for a busy schedule! 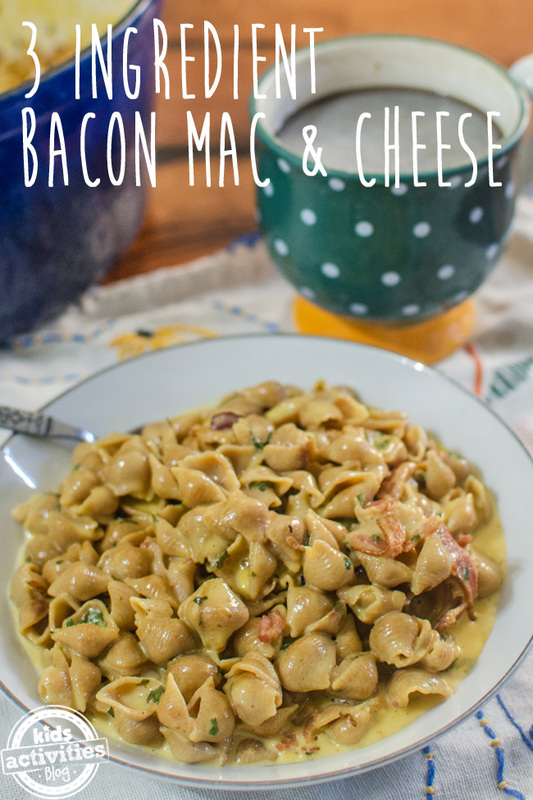 Make a modern twist on this Mac and Cheese recipe by adding in some bacon and delicious spices! Try something new for dinner with this one pot Philly Cheesesteak Rotini. Make your Alfredo extra creamy and add in some spring vegetables with this recipe. The kids will fall in love with this one pot Pizza Pasta recipe! Leave a comment: What’s the best one pot meal you’ve ever made? Hi! This recipe looks delicious, but for some reason when I clickEd on a link about parenting a child with adhd, it took me to this recipe instead. Can you please check your page/link, because I really want to read your post about adhd (a friend posted it on fb, & another mom friend had the same experience when she tried to click on it)! Thanks! ?